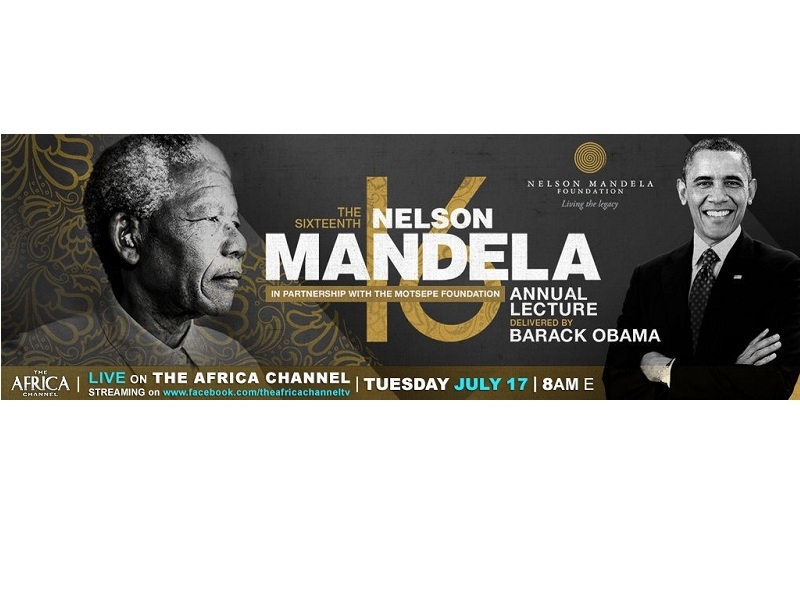 USPA NEWS - In Celebration of the 100th Anniversary of Nelson Mandela's Birth, The Africa Channel will air an Uninterrupted Live Broadcast Via Satellite of The Nelson Mandela Annual Lecture, delivered by Former U.S. President Barack Obama, Tuesday, July 17 at 8am ET. 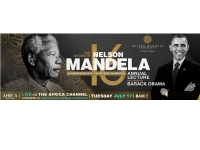 In Celebration of the 100th Anniversary of Nelson Mandela's Birth, The Africa Channel will air an Uninterrupted Live Broadcast Via Satellite of The Nelson Mandela Annual Lecture, delivered by Former U.S. President Barack Obama, Tuesday, July 17 at 8am ET. The Two-And-A-Half-Hour Special will include South Africa's President Cyril Ramaphosa, Former Presidents Jacob Zuma and Thabo Mbeki, with Legendary Musical Guests Ladysmith Black Mambazo, Peter Gabriel and more. The Theme will be "Renewing the Mandela Legacy and Promoting Active Citizenship in a Changing World." In addition to Airing Live on The Africa Channel TV Network, the Program will also Stream Live on https://www.facebook.com/theafricachanneltv along with Additional Short Videos, Stills, Inspirational Quotes, a Quiz, and a Nelson Mandela Coloring Book all from the Collection of the Nelson Mandela Foundation. Narendra Reddy, EVP/GM, The Africa Channel, said, "President Nelson Mandela once said, 'It is in your Hands to create a Better World for all who live in it,' and all of us at The Africa Channel are proud to share that Message and promote Action through this Special Programming Event." The Africa Channel will present a Special Repeat Airing of the Program on Mandela Day, July 18 at 3:30pm ET.